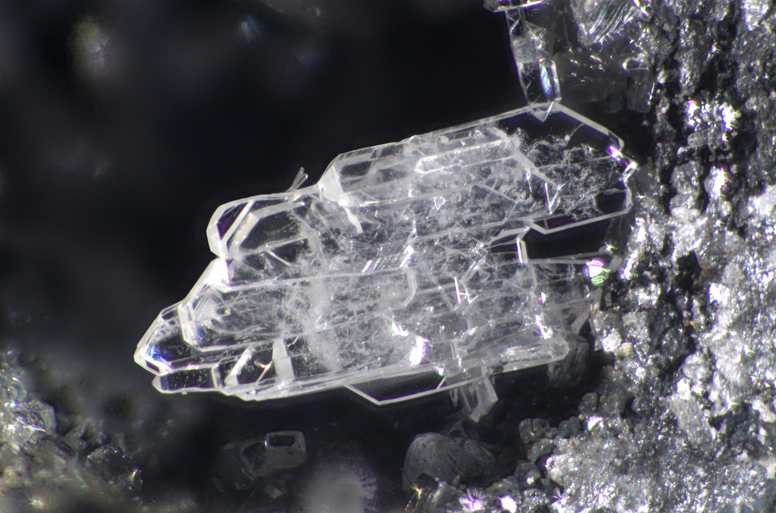 Fiedlerite: Mineral information, data and localities. Named in honor of Karl Gustav Fiedler (1791-1853), Saxon Commissioner of Mines, and Director of an exploratory expedition to the Laurium region in 1835. 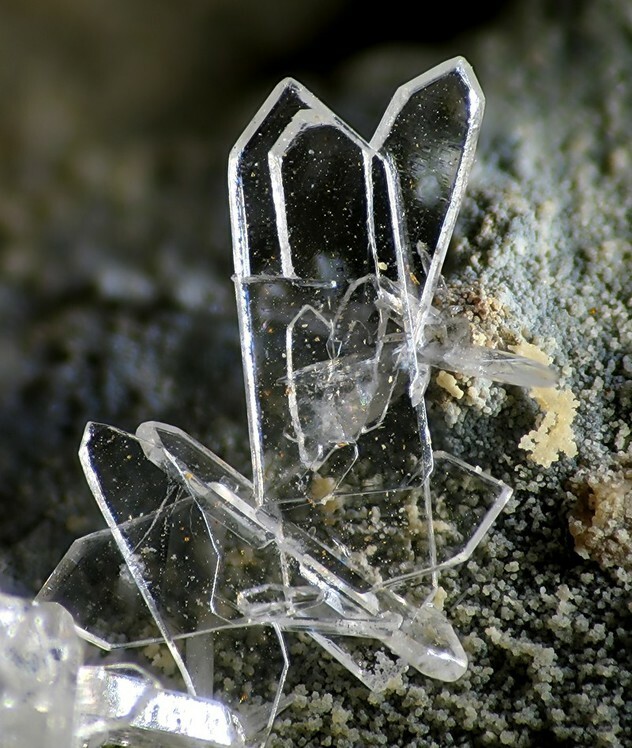 Two polytypes exist, Fiedlerite-1A and Fiedlerite-2M. Phosgenite 6 photos of Fiedlerite associated with Phosgenite on mindat.org. Boleite 1 photo of Fiedlerite associated with Boleite on mindat.org. Calcite 1 photo of Fiedlerite associated with Calcite on mindat.org. Paralaurionite 1 photo of Fiedlerite associated with Paralaurionite on mindat.org. Cerussite 1 photo of Fiedlerite associated with Cerussite on mindat.org. Galena 1 photo of Fiedlerite associated with Galena on mindat.org. Copper 1 photo of Fiedlerite associated with Copper on mindat.org. Pseudoboleite 1 photo of Fiedlerite associated with Pseudoboleite on mindat.org. Cumengeite 1 photo of Fiedlerite associated with Cumengeite on mindat.org. Becomes turbid when attacked by cold water. Soluble in HNO3. vom Rath (1887) Berichte Niederrheinische Gesellschaft für Natur und Heilkunde, Bonn: 154.
vom Rath (1889) Neues Jahrbuch für Mineralogie, Geologie und Paleontologie, Heidelberg, Stuttgart: I: 388. Smith, G.F.H. and Prior, G.T. (1899) On some lead minerals from Laurium, namely, laurionite, phosgenite, fiedlerite, and (new species) paralaurionite. Mineralogical Magazine: 12(55): 102-110.
de Schulten (1905) Comptes rendus de l’Académie des sciences de Paris: 140: 315. Lacroix and de Schulten (1908) Bulletin de la Société française de Minéralogie: 31: 83. Goldschmidt, V. (1918) Atlas der Krystallformen. 9 volumes, atlas, and text: vol. 4: 4. Palache, C. (1934) The form relations of the lead oxychlorides, laurionite, paralaurionite, and fiedlerite. Mineralogical Magazine: 23(146): 573-586. Palache, C., Berman, H., and Frondel, C. (1951) The System of Mineralogy of James Dwight Dana and Edward Salisbury Dana Yale University 1837-1892, Volume II: Halides, Nitrates, Borates, Carbonates, Sulfates, Phosphates, Arsenates, Tungstates, Molybdates, Etc. John Wiley and Sons, Inc., New York, 7th edition, revised and enlarged: 67-69. Merlino, S., Pasero, M., and Perchiazzi, N. (1994) Fiedlerite: revised chemical formula [Pb3Cl4F(OH).H2O], OD description and crystal structure refinement of the two MDO polytypes. Mineralogical Magazine: 58: 69-77. American Mineralogist (1994) 79: 1014. 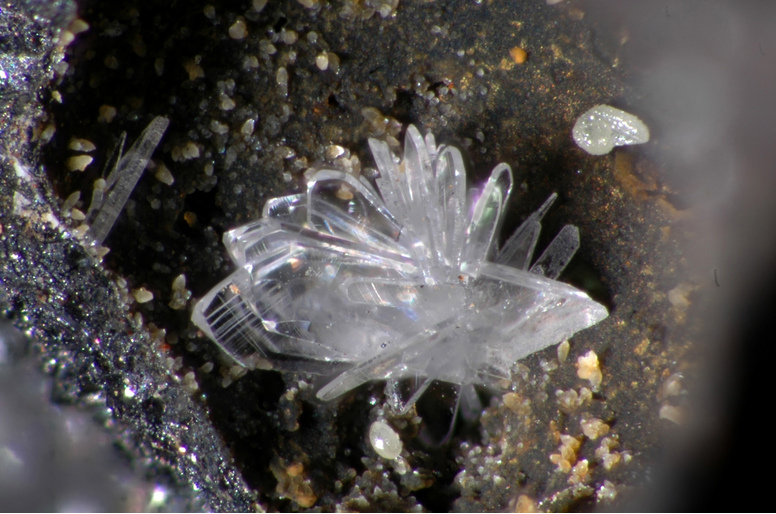 U. Kolitsch and H. Pristacz (2009): An orthorhombic dimorph of barstowite, Pb4Cl6(CO3)•H2O, from slags at Maria Waitschach, Austria, and Lavrion, Greece. Poster, Joint MinPet 2009 and 4th MSCC, Budapest, Hungary, September 7-11; abstract in Mitt. Österr. Mineral. Ges. 155, 83.; Kolitsch, U., Brandstätter, F., Schreiber, F., Fink, R. & Auer, C. (2013): Die Mineralogie der weltweit einzigartigen Schlacken von Waitschach, Kärnten. Annalen des Naturhistorischen Museums in Wien, Serie A, 115, 19-87 (in German). Palache, C., Berman, H., & Frondel, C. (1951), The System of Mineralogy of James Dwight Dana and Edward Salisbury Dana, Yale University 1837-1892, Volume II: 69; Gelaude, Piet, van Kalmthout, Piet and Rewitzer, Christian, Laurion: The Minerals in the Ancient Slags; Grolig, H. & Grolig, E. (1978): Lavrion in Attika. Lapis, 3 (5), 16-25; 40 (in German). Gelaude, Piet, van Kalmthout, Piet, and Rewitzer, Christian (1996) Laurion: The Minerals of the Ancient Slags, Janssen Print, Nijmegen, The Netherlands; Kolitsch, U., Rieck, B., Brandstätter, F., Schreiber, F., Fabritz, K. H., Blaß, G. & Gröbner, J. (2014): Neufunde aus dem altem Bergbau und den Schlacken von Lavrion (II). Mineralien-Welt 25 (2), 82-95 (in German). ⓘ Tor Caldara slag locality ? Franzini, M., Perchiazzi, N. (1992): I minerali delle scorie ferrifere etrusche di Baratti (Livorno). Atti della Società Toscana di Scienze Naturali, Memorie, Serie A, 99, 43-77; Franzini, M., Perchiazzi, N., Bartoli, M.L., Chiappino, L. (1992): Baratti (LI): una nuova località mineralogica italiana analoga al Laurion. Rivista Mineralogica Italiana, 15, 1 (1-1992), 1-14 [1a parte]; Cerutti, G., Preite, D. (1995): Mineralien der etruskischen Schlacken von Baratti, Toskana. Lapis, 20, 4, 13-18 and 50.